Avengers: Infinity War has just passed $2 billion at the global box office after only 48 days, putting it in an exclusive club of Hollywood elites that also includes Avatar, Titanic, and Star Wars: The Force Awakens—the only other movies to have reached this milestone. 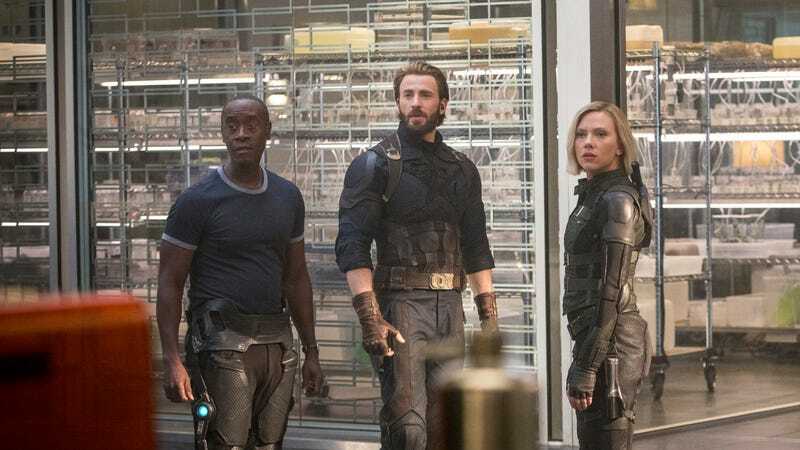 That comes from Variety, which notes that Infinity War is also the third-highest grossing movie internationally and the fifth-highest in the United States, with a $369.7 million take in China helping to push it over the $2 billion hump. It seems tempting to interpret this news as proof that there’s no such thing as “superhero fatigue” or that comic book adaptations are truly bigger than ever before, but Infinity War is a unique case that probably doesn’t signify any other big trends in the movie industry. As the culmination of 10 years of Marvel movies, it really just indicates that people still like Marvel movies, especially when they get positive reviews and feature almost every character that people like to see. If anything, it’s worth noting that none of the other $2 billion movies have really set off any trends, since everybody hated 3D movies after Avatar, nobody made boat movies after Titanic, and the international box office has started to give up on Star Wars movies. Or maybe we’re wrong and every movie going forward will end with dozens of lovable characters tragically fading into dust.